Cindy Sauer Appeared to be enjoying a good life. She was married to a loving husband and was a mother to 3 girls. A far cry from the title of the book that would depict the following years of her life, The Exorcism of Cindy Sauer. Then things suddenly took a turn for the worst. in 2009 her husband took his own life very unexpectedly. She was overcome with grief and as many would fall into a depression. It was at this time that unexplained events began occurring around her home. She's very quickly concluded that these may be paranormal in nature, possibly even her deceased husband attempting to leave a message. This assumption very quickly changed as things went from paranormal to sinister and possibly demonic. She suffered horrific nightmares, terrifying images presented night after night depicting unspeakable atrocities. And then the hunting went from an external battle to an internal war that would require an exorcism. The Exorcism of Cindy Sauer, was one that did not end in one cleansing. The internal battle would continue for a time to come and would it never permanently go away. 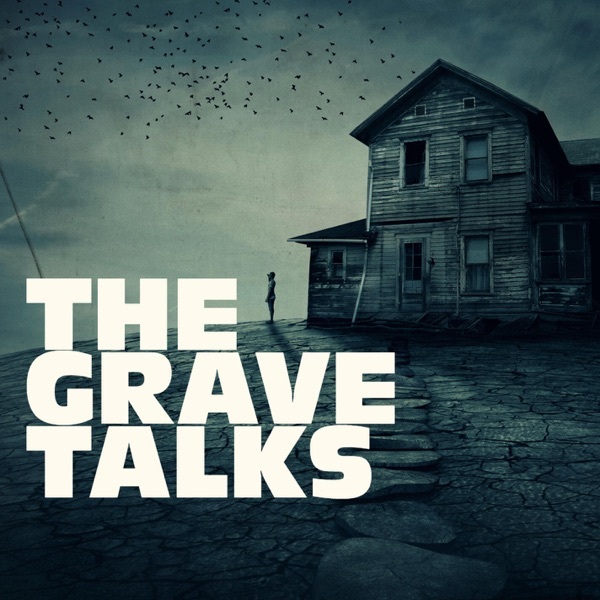 On today’s episode of The Grave Talks, we hear the personal story of The Exorcism of Cindy Sauer. The Crescent hotel was built in 1886 as a resort for the wealthy and notable, however quickly became unmanageable and fell into disrepair. In 1908, it had been reopened as the Crescent college and Conservatory for Young girls. This establishment closed down in 1924, then opened once more in 1930 as a college. In 1937, it got a brand new owner, Norman G. Baker, who turned the place into a hospital and health resort. Baker, a rich person inventor and radio personality, titled himself as a doctor, despite having had no medical coaching. He claimed to own discovered variety of "cures" for numerous ailments, as well as cancer, and launched frequent attacks on organized medicine, which he accused of being corrupt and profit-driven. Having been run out of Iowa for practicing medicine without a license, Baker moved his cancer patients to Arkansas and publicized his new health resort at the Crescent. His "cure" consisted primarily of drinking the area's spring water. [clarification needed] In 1940, federal charges were filed against Baker for fraud and he spent four years in jail. On March fifteen, 1967, the hotel was nearly burned to the ground. In 1997, the Crescent hotel was purchased by Marty and Elise Roenigk, who oversaw a six-year restoration and renovation of the hotel rooms. Today we hear the ghost stories of what is known as on the most haunted hotels in the United States. The haunted house in Hinsdale, perhaps the most famous haunted house in the area, has all the elements of a good ghost story: a mysterious history, strange sightings, unexplainable events and even an exorcism. The house on McMahon Road first gained notoriety when a book, “Echoes of a Haunting,” Clara and Phil Dandy lived in the house along with their children in the early 1970s. During their time there, they were visited by many spirits. A priest from St. Bonaventure University was at the house more than once to perform an exorcism which worked for awhile but as time went by the Dandy family lost the battle and ended up leaving the house for good. As the years passed by a few families have lived in the home but didn’t stay for long. This is where Daniel Klaes chapter in this story starts. Daniel purchased the infamous house and put it back into a functional condition. Today Daniel lets teams investigate the property in hopes of discovering the mystery behind the ghosts who haunt this home. 3: What Happened in Watervliet?